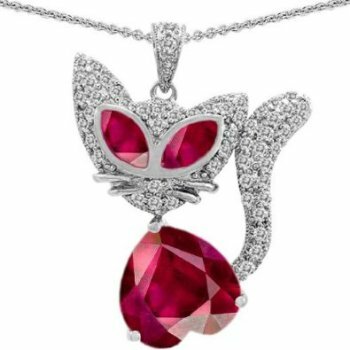 These precious gemstone sterling silver cat pendants are very unique and striking! With intense marquis cut gemstone eyes and a heart-shaped gemstone body, this necklace makes a bold and beautiful statement. This necklace is available in ruby, blue sapphire, aquamarine, pink sapphire, and emerald lab-created stones. Match your birthstone, or just pick your favorite color! 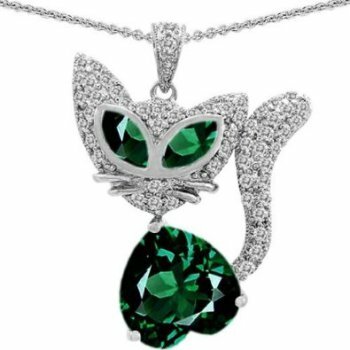 An 18-inch sterling silver chain is included!.